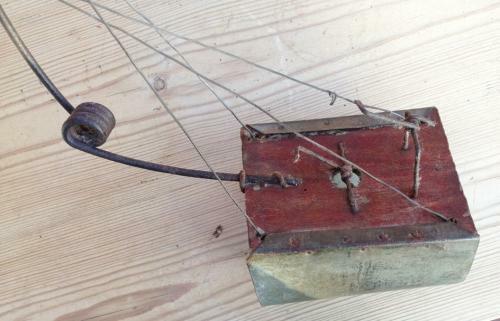 Vintage Coil Trip Rat Trap. These have surpisingy strong springs and really are a variation on the tunnel mole trap. There is a coil of wire inside the tunnel that the rat pushes against to release the noose etc. There is a small inner spike too to top the rodent escaping.